Yey! We’re on again! This project of mine was temporarily stopped the year I got married and when I gave birth. Naturally, I didn’t have time to organize this. Plus, with lots of improvements in Quezon City Sports Club, finding the spot to hold this has posted a challenge. 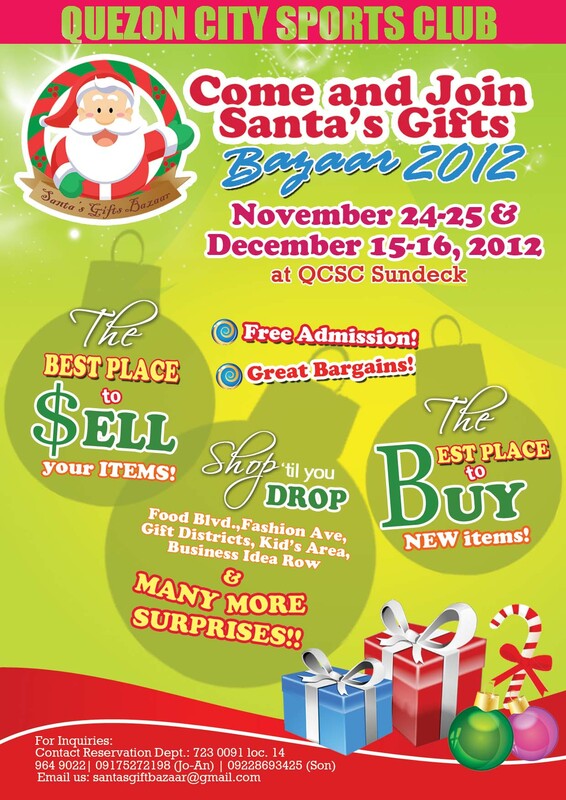 This year, we’re once again continuing this tradition and on our 8th run, we’re holding Santa’s Gifts Bazaar at the club’s “new” Sun Deck. This event will be parallel to our 1st Gourmet Bites, a food market within Quezon City Sports Club. Club members will get to taste one of a kind pastries and other delectable foods. 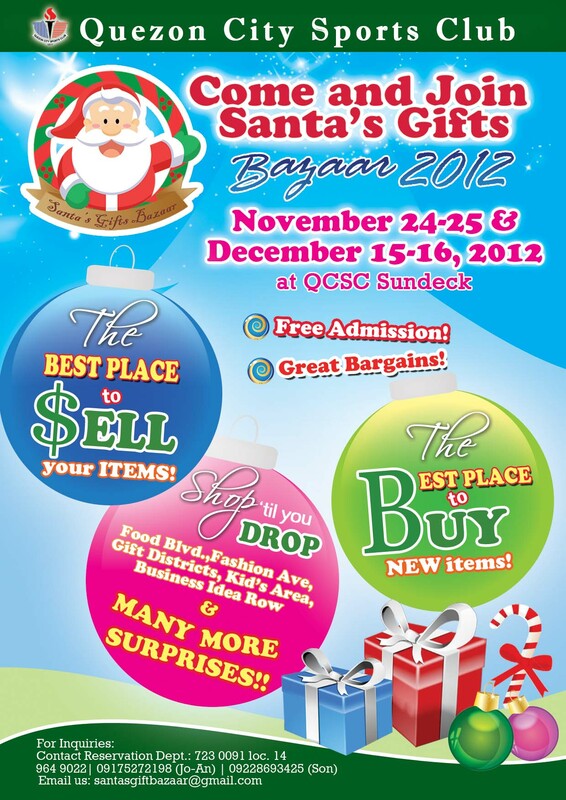 Santa’s Gifts Bazaar will run on 2 weekends only – November 24 – 25 and December 15 – 16. The Gourmet Bites Food Market will run all weekends starting November 10 – 11 all the way to December 15 – 16. It’s open to the public so feel free to drop by and shop! Will post the list of participating vendors here soon. Here’s a quick peek of the bazaar posters which I had done by Souvenirlab. That’s a moarlbde-ker. Great thinking!